Dishwasher safe water chamber used as a long lasting replacement to the standard HumidAir tub. The dishwasher safe chamber can disassemble for cleaning and should last beyond 6 months. 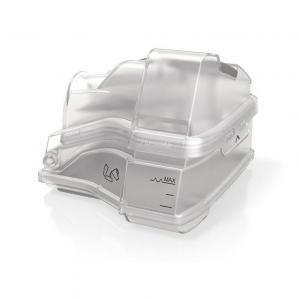 The HumidAir Cleanable Tub is compatible with all AirSense 10 and AirCurve 10 series machines by Resmed. Constantly runs out if water!